From when I was a little boy all the way up to when I was 20, I played the drums. I still play them now, as a hobby, for fun and a bit for exercise. As a kid, every year I visited a huge drum event, starring the greatest drummers and the newest innovations on drums. One of these great drummers was Steve Gadd. My hero. 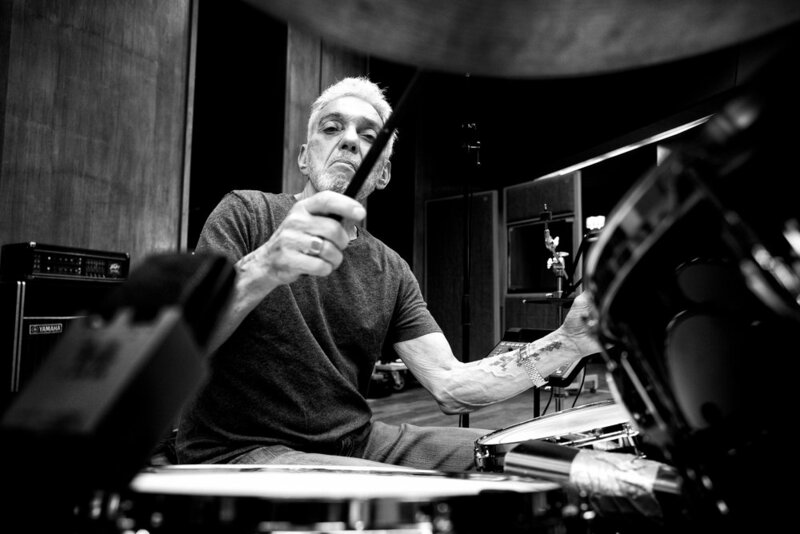 I didn’t have posters of Michael Jackson or Madonna, I was a real fan of Steve Gadd. Now, 30 years later, I was suddenly able to meet him. Face to face. I even got to photograph him, while he was recording at the Wisseloord studio’s in Hilversum with Hermine Deurloo. Looking at this - now 73 year old - legend at work was truly special. Videos for Digifotopro, an on- and offline magazine. I couldn’t put it online until just now, but a while back I’ve spend a night at the Rijksmuseum in Amsterdam, where I was witnessing the first small steps of a big event that will start in 2019. Going to Ukraine, Nepal, South Korea... creating human interest stories for organisations, foundations or as autonomous work, it's what I do, what I like and what I feel comfortable with. But I also love to get out of that comfort zone. The rest of July and all of August, over 120 photos are exhibited at the Leica store in Amsterdam. 12 stories, the oldest dating back to 2012 give an impression of what I have been doing the last couple of years. The past week I have been working on creating a story for KIOCH: The Kathmandu Institute of Child Health. This initiative is the vision - the dream - of one of the most famous heart surgeons in the country; Prof Dr Bhagawan Koirala. From the 25th of May, bureaucracy has found a new high. We now have to state and document that we are actually nice people who are doing the best they can to use the data they gather - which comes automatically when working with other people - will be used with care and respect. Two young Korean men were students of the same master in Sibpalki, a Korean martial art, when they became friends. Thirty years later, each having their own different life, they are still best friends. Kikid is a foundation which educates students on high school through classes given by peers by means of drama plays and conversation. This month I'm joining Jacqueline Govaert on her brief tour of 7 sold out gigs all over the country. Something totally different from what I'm used to, though it's not the regular stage photography for which I've joined the tour. For the Breath foundation, I will be traveling to the Ukraine several times in 2018, visiting some of the families that are benefiting of the work this foundation does. It is my aim, to capture their lives, their struggles, their hope and their pleasure. After some time off - after coming back from a long journey - I'm planning some new projects. One of the things I strongly believe in is storytelling and therefor I'm experimenting with new ways of doing just that. Three foundations - War Child Holland, Unicef and Safe the children - are working together on a project called Team Up in which they provide regular, structured and fun activities for refugee children.